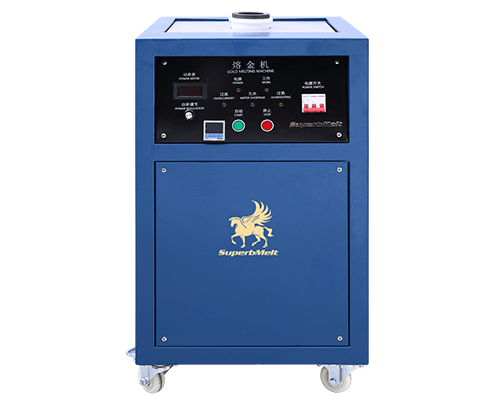 The SuperbMelt gold smelter is designed with the most powerful IGBT induction technology available in the market for 1kg to 50kg gold melting. 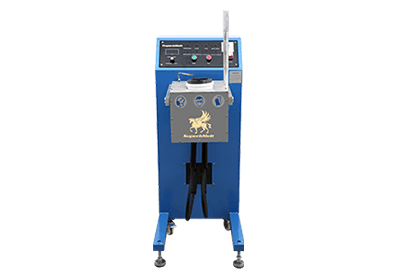 This great feature also gives this machine the flexibility to melt different kinds of metals. With the gold smelter higher melting temperatures is very realistic. 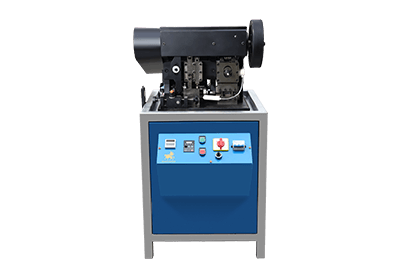 This Machine can heat up to maximum temperature of about 1800℃ just in a few minutes of starting the machine. This machine finds application in so many industries. The powerful induction furnace incorporated into the design of this machine make its ideal for the pretreatment of gold ore. It can also be used for the recycling of gold and some other precious metals. Crucibles can be easily replaced during operation. This feature saves you a lot of time and it also makes cleaning and repair very easy. Are you looking at making a purchase for a metal melting furnace? Well, the Supermelt Gold smelter machine is all you need. Why not give it a trial? This machine finds application gold foundries and other smelting industries. Do you want to know all the essential information about the processes required to produce a piece of pure and usable gold? It is indeed a complete introduction of gold. These processes include how to melt down gold, smelting, refining, and casting. Efforts are made to describe these gold-making processes as simple as possible. You will learn about the right skill/knowledge and machines needed to undertake smooth gold manufacturing, including some new machines like electric gold smelter. And you will also learn how to apply these technologies successfully in different conditions. Gold-making machines are available wherever there are some silver and gold smelters for sale. If you are a mine owner, goldsmith, or gold storeowner, you can increase your skills about gold refining by reading it. There are some new gold-making technologies or machines you will discover while reading this book. And if you are just a gold user, you will see how many important procedures went into producing that special gold of yours. In this case, you will be careful about protecting your valued possession. To gain practical ideas from this book, read it carefully and slowly. Pay attention to every detail described in it. You may have known some of these gold-making procedures, but there are still some concepts that may be new to you. So, go through every procedure or process thoughtfully so that you can find this book to be very useful. Gold is a special earth metal valued for its shining and long-lasting properties. It can be obtained from its ores, amalgams, or as dispersed, single gold particles. If you have got your gold in its ores or amalgams, you will need to go through some essential steps to refine it, all of which are described in this book. And they include: Gold melting, smelting, refining, and casting. The market value of gold has increased exponentially since 30 B.C. when the price of a pound of gold was set at 45 coins (meaning, a pound of gold can make only 45 coins) to 1351 when the United Kingdom set the spot price of an ounce of gold at ￡1.34. Since then, the price of gold has increased sharply. Today, in 2018, the spot price of an ounce of gold is $1,335 (although this price fluctuates widely based on the demand and supply for gold). As of today, the market value of gold worldwide is estimated to worth $8.14 trillion. This value is for all gold above the ground (already mined gold). It is impossible to estimate the amount of gold that have not been mined yet (still under the ground), but it is likely that the worth/value of gold will continue to increase over the years. The incomparable value of gold prompts people to always inquire: Where is gold formed? Since gold is a naturally existing earth metal, it can be found anywhere in the world. However, the amount/deposit of gold varies from one source or location to another. 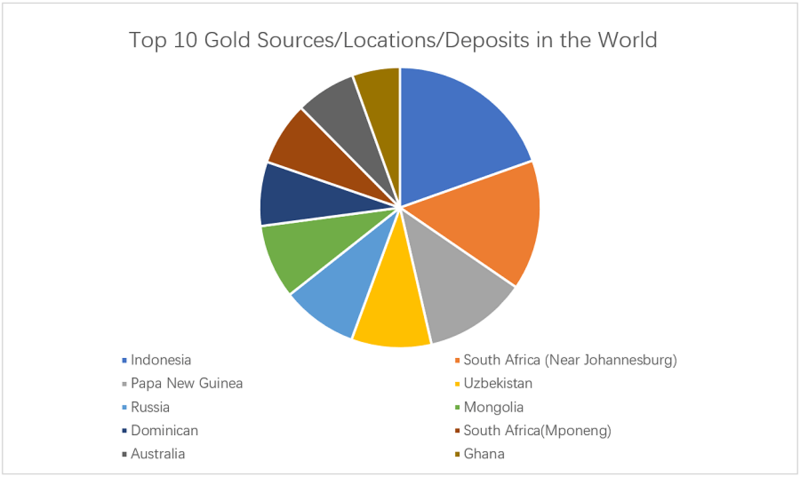 The charts below reveal the source, location, and state distribution of gold. It answers the questions people normally ask: Where is gold found in nature or where can gold be found? Indonesia remains the state/nation with the largest deposits of gold, followed by South Africa. 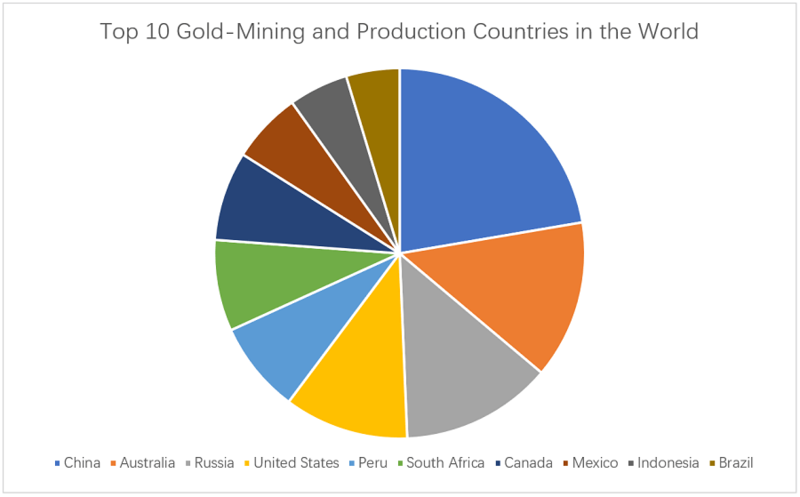 However, the chart below shows the countries with the largest gold-mining and gold-production activities. China maintains the lead in gold-mining and production activities worldwide, closely followed by Australia. This may be due to China’s increased manufacturing output which requires continuous supply of gold for several products such as objects that are platted in gold. These may include brand products like bags, eyeglasses, pens, cups, and other valuables. Anyone who can afford it can buy gold, but the next important thing to worry about is where to store them. As a very expensive possession, people are usually advised against storing their gold at home if they worth a lot of money. So, you must look for a safe place to put your gold. We are not referring to your gold necklace, a gold-platted eyeglasses or coffee cup, or your small bar of gold that can be safely kept at home. Safely keeping it at home: You can decide to keep your gold bars at home if you have a safe compartment to keep them. It is possible for you to insure them under certain conditions/provisions (ask your insurance company about this). However, if you lose the gold bars/bullion you keep at your home without an insurance cover, it is lost forever! Storing your gold with a bank: Another thing people normally do is to store their gold bullion at a bank’s safe deposit box. This practice is not very expensive. A box’s dimension can be 5-inch wide by 24-inch wide, and it costs about $50 a year. Using a depository: The third option is to use a private company that can help you keep your gold bullion. This kind of private company is known as depository. Using a depository is becoming fast popular among gold owners, because depositories offer specialized, secure gold bar vaults for their customers and provide you with good political and geographical opportunities for your gold. Please note: Your gold may lose some of its value if you store it at home. Because you need to take it to the gold dealer to make it liquid again after taking it off the gold market for a long time. In certain circumstances, you may be asked to refine it again before it can be re-admitted into the gold market. However, your gold bullion will still retain most of its value if you have kept it with a bank or a depository. In principle, your gold may have higher value if you have decided to use the service of a depository and agree to the fact that your gold should be considered as part of the private firm’s assets. In that case, your gold remains active in the gold circulation. If you are having a beautiful gold necklace or bracelet and wondering how in the world this beautiful treasure was produced from a dirty piece of gold obtained from the soil, you definitely need to read this self-explanatory part/section of this book. There are four (4) distinct processes that go into making that precious gold necklace or bracelet of yours. These processes include: Gold melting, smelting, refining, and casting. Some impure amount of gold can be obtained from its ores, mined directly from beneath the soil/ground. In order to get the purest form of the gold used in making your necklace or bracelet, it is essential that the impure gold be subjected to a melting process, which happens to be the very first stage in gold production. There are traditional and modern methods for melting gold, either of the methods aims at producing gold in its purest form that can be commercialized and used in making shining jewelries, trinkets, wristwatches’ straps, gold utensils, and other valuable gold possessions. 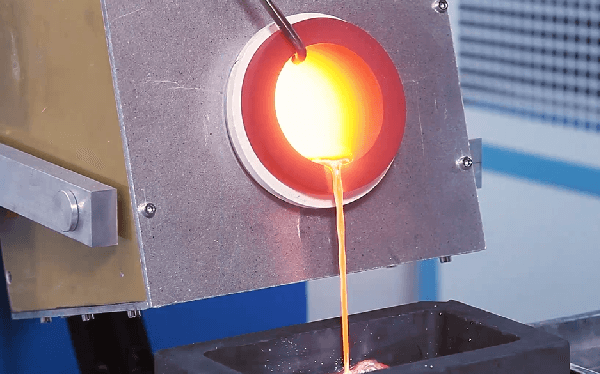 After you have carefully completed the initial step of melting your gold, the next stage is gold smelting. Gold smelting is defined as the process through which impurities are practically removed from the gold. This can be accomplished by using heat, pressure, and some chemicals. The goal is to obtain gold without any trace of impurities once the smelting process has been completed. There are some important procedures or steps required if you want to get a shining piece of gold from its ores. After melting and smelting, it is still necessary to put the gold through the process of refining so as to make sure that no small piece of impurities remains in the already purified gold. It is at this point that some gold-cleaning chemicals are utilized. Chemical substances such as borax and soda ash are very useful for purifying gold. They are usually added to the molten metal (gold) while it is still hot; this helps to separate the pure gold from other metals that could precious or less precious metals. Gold purity is measured in Karatage, which reveals how much pure gold is present in a particular object when compared with another alloy. As a matter of fact, an object, say your necklace, with a high Karatage indicates that it consists a large amount or proportion of gold. 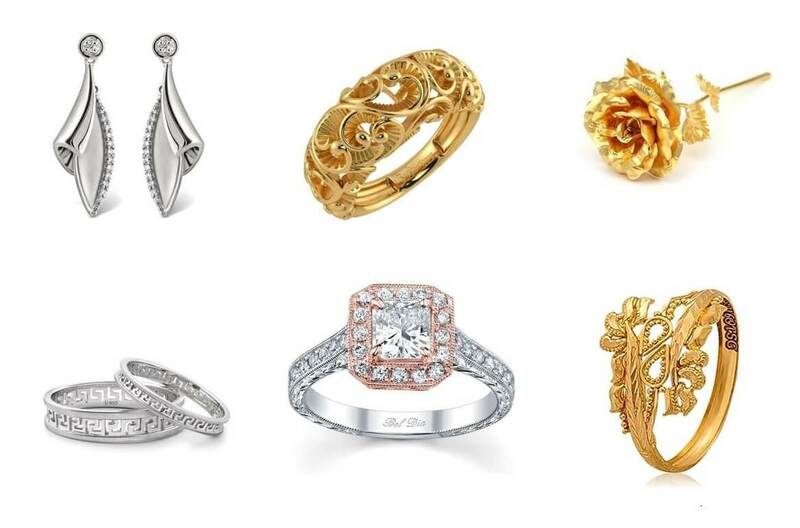 Whether you are using gold to beautify your body or holding it as a valuable asset, the primary concept is that it is of the highest quality to be considered worthwhile in the market. The higher the Karatage the more value your gold possesses. Gold casting is the last stage in gold production. It simply refers to the process of creating desirable designs or shapes using the purified gold. 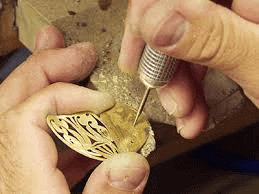 All you need to do is to pour the melted or smelted gold (molten) into an already prepared wax carving. This is referred to as the lost-wax process—this process, which is also called “cire-perdue” method for casting gold, involves pouring a molten metal (gold) into a mold made from a wax model. And once you have completed the gold mold, the wax model is melted and subsequently drained away. Let assume you want to cast a gold Buddha, all you have to do is to cast a Buddha image using a wax and then pour molten gold into it. The Buddha mold will be carved in the wax so that after the gold cools down, the gold Buddha can easily come out of the melted wax. As a goldsmith or gold shop owner, the practical steps highlighted in this book are very useful for you. Efforts are also made to simply describe the appropriate machines you will need to accomplish all the gold production processes. Your shining gold necklace, ring or bracelet does not just emerge from nowhere: it came all the way from the dirty soil/ground! 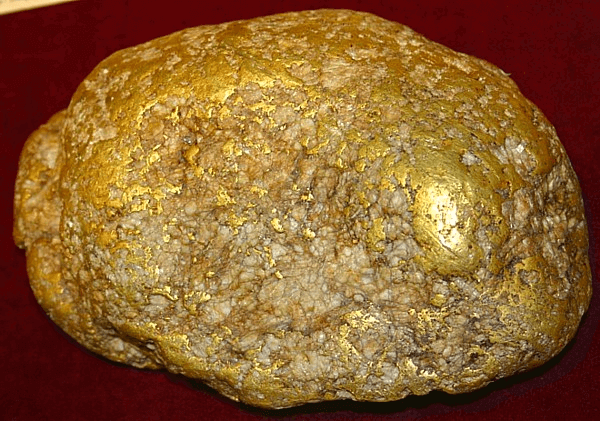 It is also believed that gold nuggets or fine grains of gold can be found in rock cracks or on other material hosts. Naturally, gold is said to be a by-product of a collision between the meteorites and earth. This is the reason some fine flakes of gold can be found on the ground in areas that have recently experienced a meteorite collision, which is a very rare occasion. However, large deposits of gold occur as “gold ores” in the soil by mixing with other substances such as calaverite, petzite, sylvanite, krennerite, or nagyagite. Gold can also be found as an alloy of silver and mercury. To extract the native, shining metal (gold), it is essential that the gold ores or alloys be mined and processed. Using cyanide to extract gold: The principle behind this method is that some chemicals have the power to separate gold or gold particles from other metals. You can use this procedure to extract gold from some rocks that have fine gold particles hiding in their cracks or crevasses. Sodium cyanide solution is added to the finely ground rock which purportedly contains some gold. The resultant solution will be gold cyanide. Then zinc is added to the solution to precipitate zinc in order to separate it from the gold. To obtain only the gold, sulfuric acid is added to remove the remaining zinc. The gold sludge that remains after all these processes can be smelted into a gold ingot that would be sent for refinement so as to get gold in its purest form. Placer mining: The primary principle of placer mining is based on the fact that some metals have different sedimentation properties. You can use placer mining to extract gold from placer deposits. A placer deposit is described as a mass or accumulation of valuable materials/minerals that was formed by gravity separation in the course of sedimentary processes. Placer is a Spanish word that means ‘alluvial soil’. A couple of the good techniques applied in placer mining includes dredging and watering. When you water the placer deposit, you subsequently turn the alluvial soil into a solution from which the gold particles can be extracted. And dredging makes it possible for you to excavate gold from the alluvial soil. Processing a gold ore with mercury: Forming an amalgam (a compound containing gold or gold particles and another substance like mercury) is the main principle behind this gold-mining method. You can recover some gold particles by combining them with mercury to form a new compound known as mercury-gold amalgam. This approach was very common in the past, and it was broadly utilized in placer gold mining. However, since mercury has been discovered to be dangerous to human health, its usage in gold mining has been drastically reduced. Processing a gold ore with mercury has, historically, been useful in increasing the recovery rate of gold particles. This procedure may have been, as well, popular today if not for its dangerous effects on human health and the environment. Hard rock mining: In this case, you can extract gold from hard rocks that contain some pieces of gold. This is not the same as rock cracks or crevasses that may have some gold particles hiding in them; the hard rocks have been formed over a long period of time, possessing some gold pieces. These hard rocks may be buried deep under the ground and miners may be required to go down into the pit to excavate them. Take for instance, South Africa has the deepest hard-rock gold mine estimated to be nearly 3,900 meters beneath the ground. Sometimes, tunnels are built for the miners to journey down into the pit. On the other hand, places where gold particles or deposits are found near the surface of the ground can be processed as open-pit mining—this entails that miners do not necessary need to go down the tunnels into the pit to extract gold. Fort Knox Mine, which is located in central Alaska is a typical example of mine that utilizes open-pit mining, because miners can use a modern machinery to extract gold from the shallow depth while staying on the earth. However, in places such as South Africa where very deep, hard rock mining is common, miners are constantly exposed to dangers that include tunnel collapse, rocks falling through the tunnel or obstructing it, poor ventilation system, and heat that could be quite unbearable for human bodies. 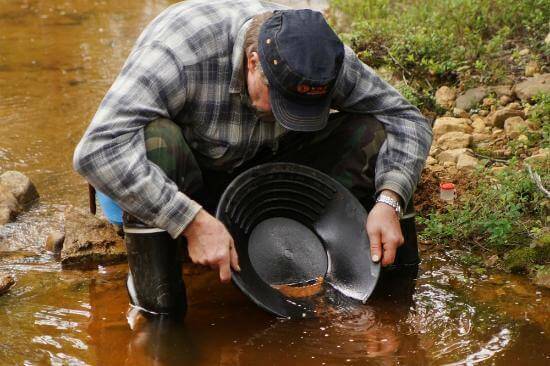 Panning: As its name implies, gold panning simply means using a well-designed pan to manually separate gold from other materials or particles. The required procedures are very simple: You fill a shallow, wide pan with some sand that contain both gold and other materials/particles. You then dip the pan in water and continuously shake it, separating gold particles from other materials in the mixture. The gold particles, because of its heavier weight, will settle on the bottom of the pan while the other substances float in the water. You can get the sand you want to pan from under the seabed or the corners of a stream. This process is actually the easiest and cheapest method for extracting gold. But it is not appropriate for large-scale extraction of gold. Dredging: This gold-extracting process utilizes a suction dredge, which is a small machine that pumps up gold particles from the depth of rivers, seas, or shallow streams. The suction dredge is composed of a sluice box, ably supported by pontoons. The pontoons are attached to a suction hose that is lowered into the sea and controlled by the miner under the sea. In some countries, miners require a dredging permit so that they can know when and what area they are allowed to dredge for gold. If you are interested in large-scale gold dredging, you may need to use large suction dredges such as the 100 horsepower (75KW) and 20 mm (10 in) wide. Sluicing and Rocker box: You can use a Sluice box and/or a Rocker box to obtain gold from placer deposits. A Sluice box is an artificial channel that have riffles at its bottom. The primary function of the riffles is to create a zone at which gold materials will drop off the mixture/suspension with other materials when water is channeled through the box. Being denser, gold material is deposited at the top of the box, while other lighter materials flow out of the box as tailings. Similarly, a Rocker box, which is also known as a Cradle, has riffles that are located in high-walled box to trap gold materials like a Sluice box. But the only difference between the two methods is that less water is required for a Rocker box than for a Sluice box. In locations where there is scarcity of water, a Rocker box will be a better option. And a rocking movement is needed to keep the water flowing through the current, creating the gravity that will separate gold from other materials. Indirect gold mining: sometimes miners may be looking for other rare, precious metals when they suddenly stumble on gold. Take for examples, some copper mines or gravel pits may contain gold pieces. When miners go for copper or precious stones, they may end up scooping up some gold materials that can be refined to obtain pure gold. Sometimes, miners may be dig up precious metal they thought would be silver, copper, or another but were surprised to discover that the mine had larger amount of gold than the other metals they had expected. For instance, Grasberg Mine, in Papua, Indonesia, where the largest amount of gold is produced from was initially a copper mine. Some sand or gravel pits around Denver, Colorado have been found to contain a huge deposit of gold materials. NOTE: All the gold-mining techniques highlighted above have been applied since centuries ago, but modern method such as gold smelting has replaced some of these traditional practices. Gold smelting makes it possible to obtain gold or gold particles in higher purity degree when compared with these traditional processes. While the procedures explained above utilize little or no heat or pressure, gold smelting process applies heat from the furnace. It is believed that gold smelting produces gold with the least amount of impurities, unlike the traditional methods. And you need some specialized gold-smelting machines to carry out your gold-mining operations. Why do we need to refine gold? The answer is very simple: We cannot use gold in its raw form. Gold must be refined from its alloys or amalgam forms in order to get the pure gold that you can use in whichever way you like. Several people think that their gold pieces are pure. That may not be true, because an alloy of gold and copper still have a brilliant shining color, but it lacks other chemical properties of gold. When gold is refined, this process increases its value and market worth. More so, it helps in the preservation of this noble metal because when exposed to some chemicals, gold could be oxidized. Generally, gold can be refined using these two-best-known gold-refining procedures: Aqua Regia and gold electrolysis. These two techniques can be used to separate gold from other metals. This is because a little piece of other metals in gold can change its properties and value. This is an effective gold-refining process that requires the use of a chemical solution (flux) known as Aqua Regia. The purpose of this method is to dissolve any other metals that may attach to gold in its ores or alloys. This process can be done small-scale and it is practically affordable because a 500ml of Aqua Regia kit costs about $63.95. Aqua Regia comprises of nitric acid and hydrochloric acid in the ratio 1:3. Its density is 1.01-1.21 g/cm3. It is soluble in water, and its boiling point is -42oC. Its hazardous level is expressed to be NFPA 704, which helps users to identify how dangerous the chemical is and what equipment or materials can be used alongside this chemical. Aqua Regia has been used to separate gold from other metals for a long time. It is a kind of gold smelting flux like Borax, which is another chemical substance used in gold purification. Aqua Regia originates from a Latin word that means “royal water”. Actually, Aqua Regia is a chemical solution which fumes, and it is corrosive in nature. It is either yellow or red in color. You can freshly prepared Aqua Regia by mixing concentrated hydrochloric acid with concentrated nitric acid. This indicates that the Aqua Regia solution also has nitric oxide, in addition to nitrosyl chloride and chlorine. Step four: The oxidation of gold takes place or occurs, represented by the equation below. Step five: The dropping (sedimentation) of gold from the other metals happens in this step. And this step is completed by treating the solution with a reducing agent such as SO2, sodium metabisulfite, or other reactants. If you are using either SO2 or sodium metabisulfite (SMBS), the gold will not be reduced until the excess or all nitric has been eliminated. It is also possible to remove nitric by adding urea to it. Aqua Regia is a well-known process for obtaining gold in its pure form. And the chemical reactions involved in this procedure are simple and straightforward. The chemicals are available everywhere and not too expensive. However, the main disadvantage of this procedure is that permissions from the local authorities may be needed. This is because some of the chemical reactions may produce by-products that could have some destructive effects on the environment. This include toxic fumes and chemical by-products that may not be good for human health. Gold electrolysis is the second, popularly used method in gold-making industries to separate gold from the other metals. This procedure has been noted to produce gold that is almost 99.999% pure. It involves setting up an electrolytic equipment, which consists of two separate nodes/poles known as anode and cathode. This procedure is particularly great for extracting gold from its low-yield ores—that is, ores that contain very small amount of gold. For this arrangement, Chlorine is mainly used as the solubilizing agent for the separation of gold or other precious metals from their ores. Gold electrolysis was invented by Emil Wholwill in 1874. But various versions of this process have been developed over the years. 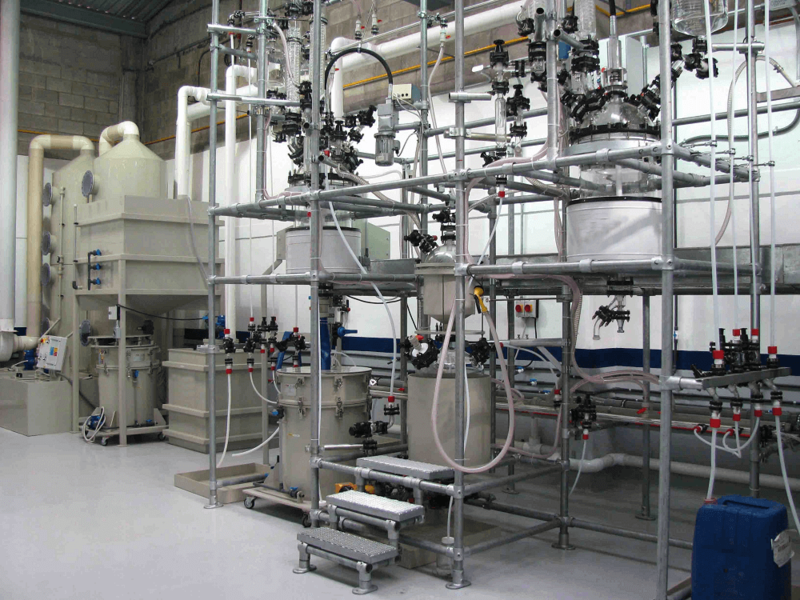 It is an electrochemical process which has been applied in many large-scale gold-refining establishments or industries. 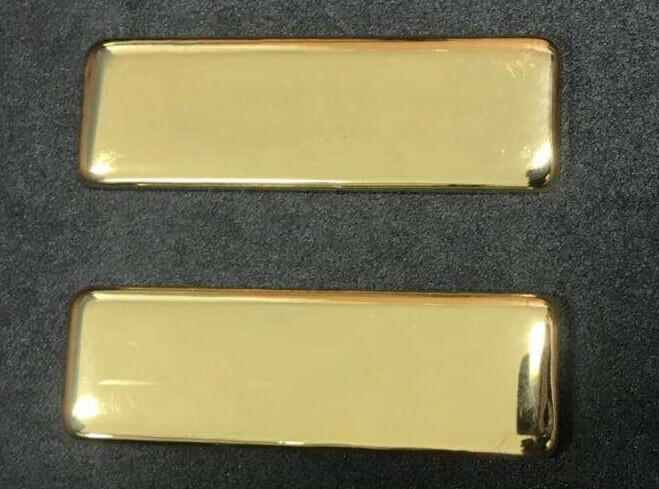 The principle of gold electrolysis is very straightforward or simple: Dore bar, which is a cast gold ingot at 95% plus purity is used as the anode. The cathode (s) for this electrochemical procedure are small sheets of 24 Karat (pure) gold sheeting. When current is applied to the system, the electricity moves through hydrochloric acid, which is the electrolyte for this process. Then gold and other metals are deposited at the anode during the electrolysis, but the pure gold that has passed through chloroauric acid by ion transfer is deposited or plated on the cathodes. The anode is dissolved during this process. And the cathodes are subsequently removed and melted into required shapes. It is also possible to sell the gold deposit on the cathodes as it is. However, if you have a special shape in mind, a bar or a particular shape, it is advisable that you melt the gold first and pour it into already designed models. Mostly, the gold obtained through gold electrolysis is usually very pure, almost 99.999%. In fact, this procedure is the best method for processing gold with the highest karatage (24 Karats = 100 percent gold). This is why gold electrolysis is very common in countries where pure gold pieces are given priority over the ones with low karatage. As the best technique for getting the purest gold all over the world, gold electrolysis is widely adopted among some gold-making companies that value only the purest gold. It does not produce gaseous fumes and other unpleasant gases. 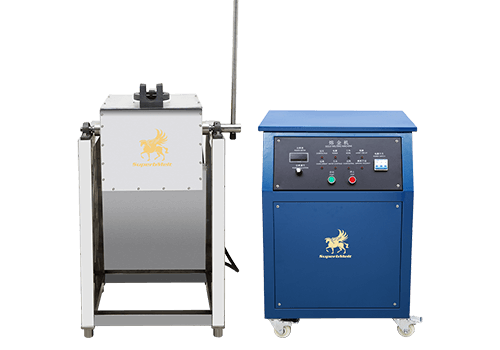 Gold electrolysis requires small amount of chemicals and labor. It is, in fact, environmentally friendly. However, it is a very expensive procedure because a permanent stock of gold is required to run the electrolytic process. Take for instance, for every gold produced through this method, 20% of it is lost on the anode. In other words, if you aim at producing 100kg of gold, you should make provisions for 120kg, because at the end of the process, 20kg will be plated or wasted on the anode, leaving you with only 80kg of gold (in case you have not previously made any plans for the loss of gold on the anode). Physical properties: A pure gold shines brightly and maintains an average melting point of 1065oC. It is malleable—meaning it can be bent and produced in different shapes. It is also ductile because it can be produced in thin sheet of gold leaf and inserted into electrical cables, because pure gold is a good conductor of electricity, and it is relatively hard. It can dissolve in some acidic solutions such as hydrochloric acid. Chemical properties: Gold is regarded as a chemically inactive metal; it is resistant to most chemical actions. It can be reduced to metal gold by some reducing agents such as sodium metabisulfites (SMBS) and SO2. Gold does not react with non-metals, but it can form halides with halogens. And it can be dissolved by Aqua Regia solution, which is a combination of nitric and hydrochloric acids. As briefly hinted above, you need some specialized machines to successfully carry out the gold ore smelting process. Of special importance is the furnace used in melting the pieces of the gold ores. IGBT induction technology: Some furnaces function on the induction technology and SuperbMelt’s electric metal melting furnaces are based on advanced IGBT induction technology. 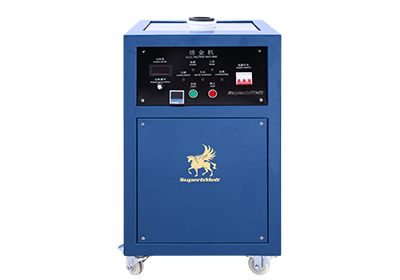 The obtainable induction power ranges from 3.5kw to 160kw, as appropriate for different furnace bodies. This equipment can be used to melt 1kg~ 250kg gold, silver, copper, zinc, aluminum, lead and other ferrous or non-ferrous metal. And it can be used at home, foundry, jewelry casting, laboratory research, and in recovering precious metal. Blast furnace: This kind of furnace is used primarily to extract iron from its ore. But it can also be used for extracting gold from iron ore plant. This means that once the iron has been extracted through blasting, gold will become part of the remnants or remaining materials. The usual dimensions of the blast furnace can be anywhere from 60 meters tall to 15 meters in diameter. This furnace is unique in the sense that it has the biggest chemical reactors and high ovens. The blast furnace is constructed with steel case and some magnesia bricks which is naturally resistant to heat, and it does not melt. Open hearth furnace: Open hearth process is also referred to as Siemens-martin process, which is a steel-making technique that was widely used for most of the 20th century. However, if the iron ore from which iron will be extracted has some gold particles, it is possible to have gold as a bye-product of the iron-extraction process. Electric arc furnace: These furnaces are used to produce precious metals, including gold. However, the electric Arc Furnace does not utilize any hot metals as basic oxygen routes. For example, the equipment is charged with a cold material which is generally steel or gold scrap. Other raw materials that could be used in charging the equipment include the products from iron ore. One great advantage of the electric arc furnace is that it is environmentally friendly, and it does not expose workers to the danger of excessive heating. NOTE: Induction furnace technology also has the same advantages; it doesn’t produce much noise, air pollution, and any harmful by-products. It consumes very low power and has higher melting efficiency. And it does not have harmful effects on gold workers. Health issues: Some of the chemicals used in gold mining are quite hazardous to human health if miners are exposed to them for a long period of time. For instance, too much exposure to mercury can cause paralysis by attacking central and peripheral nervous systems. When inhaled, mercury can cause some serious damage to lungs, digestive system, kidneys, immune system, and other parts of the body. Similarly, cyanide is another chemical used in gold mining. Unfortunately, cyanide poisoning, which can happen when miners are over-exposed to the chemical, can produce some symptoms such as shortness of breath, headache, vomiting, dizziness, fast heart rate, seizures, loss of consciousness, and cardiac arrest. Environmental impact: Unlike many years ago, every business operation today must be environmentally friendly—in other words, they must not pollute the air nor destroy plants, living and marine creatures. As indicated above, chemicals such as mercury and cyanide can destroy the ecosystem if they are scattered around carelessly in large quantities. There could be dangers of water, soil, and air pollution, all of which can threaten the survival of living creatures. There has been a sharp increase in the number of infections or diseases due to dirty environment, polluted bodies of water, food poisoning, and other dangerous substances in the environment. This is why it is essential for governments to establish rules and guidelines that will hold gold miners to some high standards so as to prevent catastrophic diseases. Sustainability: Nowadays, the concept of corporate sustainability and responsibility is very popular through which gold-mining companies are expected to demonstrate good responsibility towards their employees, people in their places of operation, and the communities in general. The essence of this is to make sure that the companies will not make both internal and external policies that will undermine the culture, social peace, and well-being of the people in the communities. As a result of this, some gold-mining companies have programs aimed at undertaking social and cultural transformations in their communities. They send their employees on numerous trainings so as to learn how to add value to their services and products as well as educating their customers about how to perfectly use those services and products. Some of the employees can also be trained to become social workers or educators who will impact new ideas to the people in their communities. Governmental regulations: Unlike before, gold-mining operations have been placed under strict regulations to maintain standards in the industry. There are governmental bodies as well as private organizations that set up guidelines for measuring the gold standards. Most countries issue mining permits to gold miners so that there could be some rules guiding their operations. There are also laws and regulations in each country that aims at guaranteeing occupational safety for all miners within that country. Gold mining is a very dangerous job; so, governments need to compel gold-mining companies to set up insurance policies for their employees in case of future accidents or hazards at work. Lately, there has been an acute reduction in gold-mine accidents all over the world. This may be due to the fact that miners are now expected to follow their country’s laws and regulations which create a comfortable and safe working condition for them. These laws and regulations make the job of a gold miner less dangerous nowadays. Gold standardization: Countries freely trade gold among one another today because a well-accepted gold standardization has been established. This universal gold standardization removes all doubts about the quality of the gold in the market and encourage more trades in the precious metal. Invariably, as more gold is bought, this also leads to higher gold mining activities. In other words, if gold demand drops dramatically, it will be impossible for gold miners to maintain their jobs since no one will be buying their gold. But since gold standardization is a universally agreed-upon code, this has also increased the demand and supply of gold, hence, giving the gold miners the chance to do what they love best-mining gold. The history of gold digging/gold mining is a long one, spanning several centuries. Before it becomes a worldwide commercial activity, gold mining was carried out by a person or a group of people. Personal gold mining was possible because gold, as a metal, appeared naturally as a brightly shining substance. It was easy for a person to see its beauty and desire to coat his/her valuables with it. Over the years, commercial gold digging has replaced personal gold digging, and several companies are now carrying out the business of gold digging/mining, gold smelting, and gold refining. The earliest origin of gold digging/mining can be traced to the ancient Egypt where people mined gold to cover several of their materials/possessions such as jewelry, masks, figurines, beads, cups, buttons, as well as their tombs. Artisans used gold to create beautiful arts on tombs, temples’ walls, and other public places. In fact, a gold that was mined 5000 years has been discovered in Egypt. There was a story about a young Egyptian Pharaoh named Tutankhamun, who ruled Egypt in the 14th Century B.C. and possessed many treasures that were covered in gold. However, gold was later discovered in other places around the globe such as in the Middle East, Saudi Arabia, South Africa, China, Australia, and even in the United States. Geologists believe that there are still some undiscovered gold deposits around the world, and it might take years before we can discover them. As gold continues to be a valuable metal that everyone aspires to have, how long does it take to melt gold? This may speed up the process of searching around (prospecting) for gold deposits in every corner of the world. Gold smelting process is the last stage in gold extraction process undertaken mostly at the site of a mine. The gold smelting process is a simple but essential procedure in extracting gold from its raw ore. It involves more than just heating, pressurizing, or melting the gold into a bar; it also removes impurities from the gold before it is passed on for further refining. To successfully carry out gold smelting, some specialized equipment or machines are required. You will need a furnace, some chemicals, a source of heat, and molds. First, you are required to pulverize your gold ore, amalgam or rock/stone into fine pieces. This preparation makes it easy for the next step, which is subjecting the pieces to heating from a furnace. Depending on the size or scale of your gold business, you may decide to use a small stone/boulder crusher to break the gold ore/stone into pieces. Other large-scale gold enterprise may use a more sophisticated, hard-rock crusher. 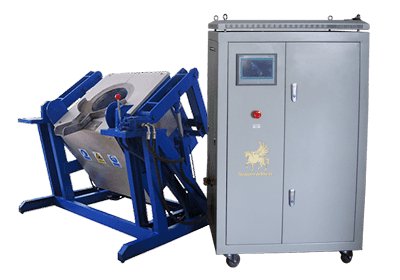 So, use the one that is applicable to your business size; the main purpose of using a crusher is to get the gold particles in a form that can easily be pressurized or heated. Heat the furnace to temperature between 1150 and 1450℃. The furnace temperature is expected to be hotter than gold’s average melting point, which is 1,064oC. If the furnace temperature is below the gold’s melting point, it may be impossible to obtain melted gold from the ore.
Then put the pieces of gold ore in the furnace to burn off impurities. A typical gold ore may compose of traces of copper, silver, and iron. As a matter of fact, a gold ore only contains traces of gold. So, when heating is applied, silver which has a melting point of 961.8oC will soon burn off. Copper’s melting point is 1085oC. However, the melting point for iron is 1,538oC, which indicates that there will still be some iron particles attached to the melted gold. This is where further gold refining is necessary after gold smelting in order to obtain gold that will be in its purest form. The next step involves introducing chemicals to separate gold from other metals. The main chemicals that have been used in the gold smelting process are potassium cyanide and mercury. These chemicals will cause melted gold to coagulate and form pure gold nuggets while removing other impurities from the mixture. The iron that remains after the initial heating in the gold-smelting furnace will form the iron cyanide compound, which can be removed to allow only gold nuggets to remain in the solution. NOTE: Both cyanide and mercury have dangerous side effects if your miners or gold-processing workers are exposed to a lot of them. So, it is imperative to inform gold workers/employees about the dangers or hazards of using these chemicals. Any workers that have been exposed to too-much cyanide and mercury should be immediately taken to the hospitals for treatment. Some of the symptoms of mercury pollution include headaches, insomnia, muscle twitching, mood swings, muscle atrophy, and so on. It is also possible to use flux in gold smelting. This will reduce the smelting point and capture metal oxides. The essence of treating gold ore and its components with heating and chemicals is to make sure that only the purest form of gold is left after the process. Then you can heat and pour the purified gold into mold to obtain pure ingots. Ingots are of different shapes and sizes. It is important to stress that the effectiveness of this process depends on the type of gold smelting furnace you are using. However, do not forget to smelt gold in a well-ventilated area. This is because some of the impurities like sulfur can produce pungent smell. 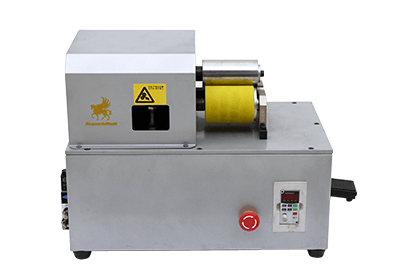 Mini Gold Melting Machine: This machine is perfect for melting 1kg to 2kg gold. Its maximum temperature can be up to 1600℃. 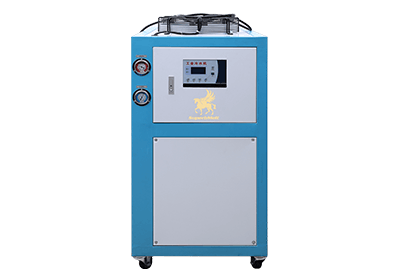 It adopts induction technology to melt gold efficient. It is a portable equipment and can work continuously for 24 hours. 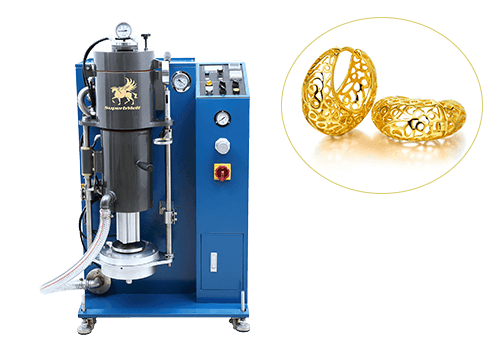 Integrated Gold Melting Furnace: This machine can melt gold from 1kg to 12 kg. It designed to also melt other metals such as palladium, silver, and copper. It utilizes the most advanced IGBT induction technology. It can melt substances or metals within 2-4 minutes. 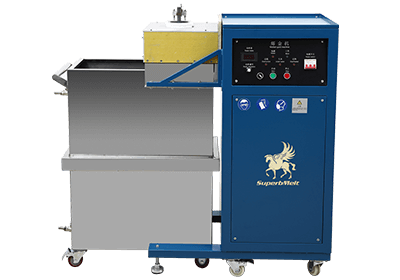 You can use this machine and other SuperbMelt furnaces at the Lab, jewelry shop, research institute, and in other places. Stationary Platinum Melting Furnace: This is a very powerful melting machine. Its temperature is as high as 2800℃. It can be operated easily and maintained without any problems. It has low noise and can work continuously for 24 hours. 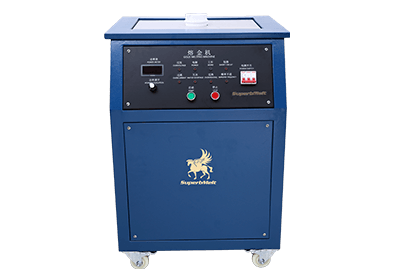 10Kg Tilting Melting Machine: This machine utilizes the medium frequency induction heating method to melt up to 12 kg of gold. It has a strong electromagnetic stirring that facilitates the entire melting operation. This furnace is crucible-based and changing its crucible is very easy. 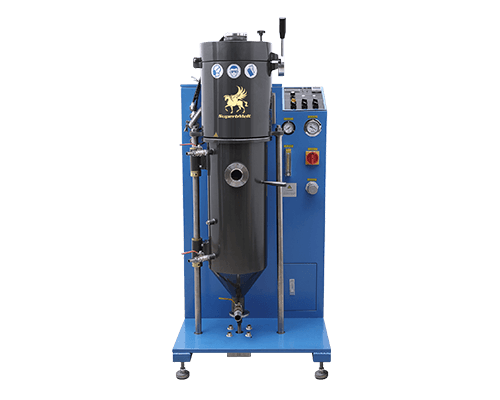 Manual Tilting Gold Melting Furnace: This machine uses medium frequency induction heating to melt as much as 30kg gold. Its temperature is as high as 1600℃. Because of its digital technology, this machine is reliable, noiseless, and can function for 24 hours nonstop. Chain Tilting Melting Furnace: This machine can melt any non-ferrous metals like gold and silver. It can handle from 5kg to 30kg of gold. The machine tilting speed can be controlled by the tilting joystick, which is made possible by the tilting controller. 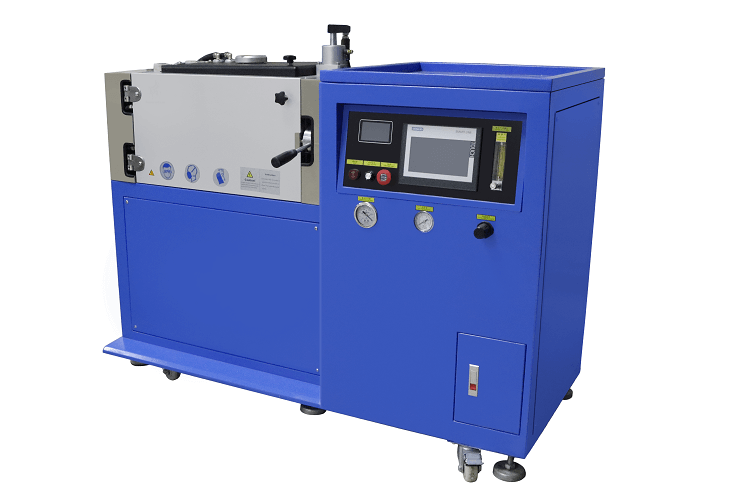 This furnace adopts IGBT advanced induction technology. 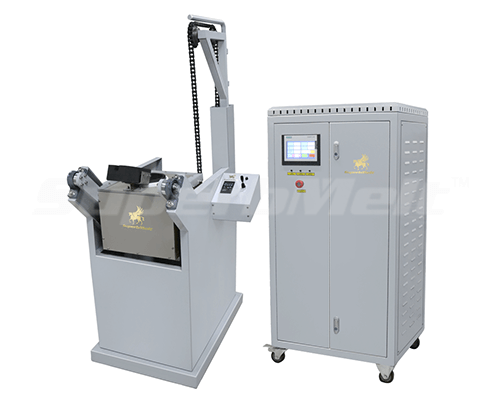 Manual Tilting Metal Melting Machine: This machine adopts the induction technology and can successfully melt 10kg to 80kg ferrous and non-ferrous metals. It has a crucible fitting for whatever melting operation it wants to accomplish: For non-ferrous melting, graphite crucible is used; for ferrous melting, silicon crucible is used. 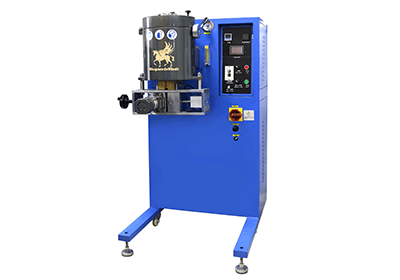 Hydraulic Tilting Melting Machine: This is a small, hydraulic induction melting furnace. This means that it is controlled by a hydraulic box which has a remote panel trolley. It produces high-quality melting as well as guaranteeing furnace’s stability. Generally, when you recycle something, you give it a new shape or form. The same thing is applicable to gold. So, gold recycling means making a piece of gold pass through the known processes of melting, smelting, refining, and casting. Like a silver smelter, there are different kinds of machines that are used in the gold smelting process. What matters is the end-product, which is a piece of pure gold. The principle behind this method is that when heat is applied to gold material, it will melt at its natural melting method of 1,064℃. A propane torch is capable of melting gold within minutes. But since fire is involved, you have to be extra careful during this process. Using a propane torch to melt gold is a simple, straightforward procedure: Place the gold to be melted in a crucible. Place the crucible and the gold in it on a fireproof surface. Bring the propane torch to the crucible and focus the flame on the gold to melt it. If you want the gold to melt at low temperature, you should first treat the gold with Borax before melting it. Don’t forget to heat the gold slowly if you are using gold powder, or else you will blow it all away. And do not apply too much heat to the crucible because it can crack in the process. The goal is to melt the gold uniformly and perfectly. In case you need a more powerful heat, you can decide to use an oxy-acetylene torch instead of a propane one. Once your gold has been finely melted, the next step is to mold it into your desired shape. 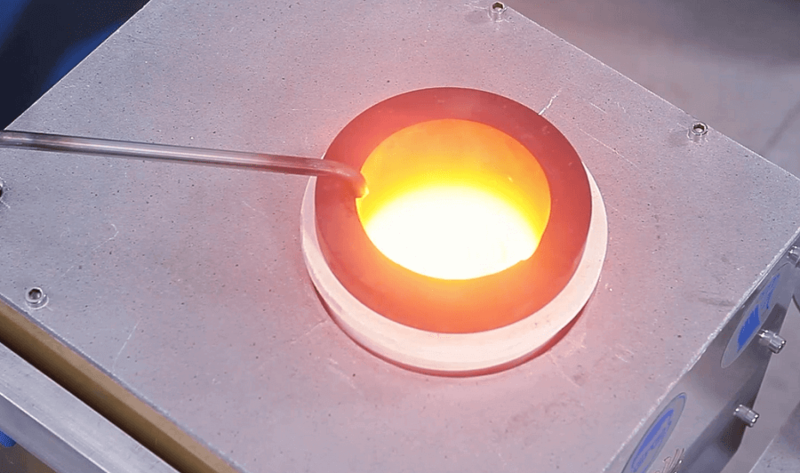 Choose your desired mold shape and pour the molten gold into it while it is still hot. It is advisable that your mold is made of the same material as the crucible. This will prevent unnecessary stickiness when molding the gold into your chosen shape. At the end of your work, do not forget to clean up your work table. There are surely going to be some pieces of gold scattered around the crucible and the work table. Note: You may experience that the gold pieces melt at different temperatures even though they are the same metal. The main reason for this difference in melting temperature is that they have different states of purity. The basic function of an induction melting furnace is to melt multi-metal. This gold smelting furnace is an electrical one that utilizes high degree of power or electricity to melt metals into a molten form. It can be used to melt metals that are less than a kilogram and those that are hundreds of tons. You can utilize this furnace to melt precious metals such as steel, copper, iron, and aluminum. 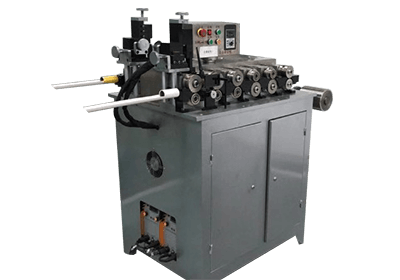 When compared with the regular heating furnace, induction melting furnace outperforms it due to its efficiency and wide application in melting different amounts of iron scrap. It makes use of energy efficiently. It prevents loss of extra energy because the amount of energy supplied equal to the quantity of the metal to be melted. Its installation is compact and understandable. It has a natural stirring and does not emit dust, harmful pollutants, or noise. It has a high yield and low metal loss. Because of the points highlighted above, the cupolas in the ordinary furnace are now replaced by induction furnaces due to its ability to melt iron without producing harmful pollutants. And the loss of valuable alloying elements has been prevented or completely reduced. 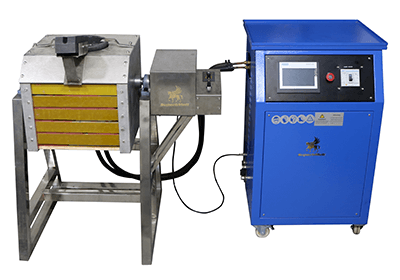 To better utilize your induction melting furnace as a part of your gold smelting kit, you need to understand how it works. It functions on the principle that a high electrical voltage originating from a primary coil/source leads to the induction of a low voltage and high current in the secondary coil/metal. This is why induction furnace is regarded as the best approach for melting different types of metals and for producing their alloys with little or no metal losses. 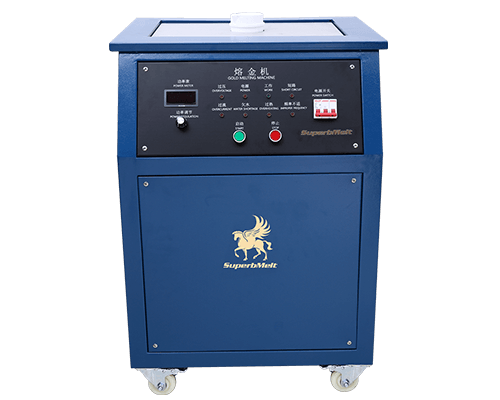 This machine utilizes IGBT induction technology, and the induction power rates from 3.5KW to 16KW. Coreless induction furnaces: Unlike electric gold smelter, the main component of coreless induction furnaces is its heart which is made up of a coil which consists of a hollow copper tubing. This is a highly conductive tubing and a heavy duty. It is wound onto a helical coil which is housed in a steel shell that is further coated in magnetic shielding. The shielding prevents the steel shell from being heated by the furnace. And to further protect the shell from being over heated, the coil is carefully circulated in a cooling tower. There is an interesting interaction between the electric field and the magnetic field when the charge metal is melted. This leads to a stirring action that makes the metal rise upwards in the center. However, it must be noted that the extent of stirring is dependent on the frequency and the power that are applied. Also important are the density, viscosity, and size of the melted metal. The apparent significance of the stirring action is to help the mixing of alloys become homogeneous at the melting (heating) temperature. When you are thinking about which furnace to use for a sizeable mining operation, go for the resistance furnace! It can work under a wide range of temperatures, up to 1,500℃. However, the only drawback about the resistance furnace is that it is time-consuming when compared with the induction melting furnace. You will discover that resistance furnace is sealed; this feature makes it possible for it to stop heat from escaping into the atmosphere. And its temperature-controlling system is automated, which means that it functions perfectly on its own. 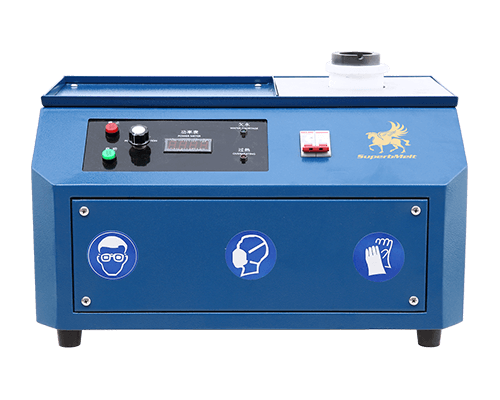 One of the great points of the resistance furnace is that it has a gaseous medium that makes it possible for it to prevent oxidation and hardening of whatever gold sample one may be working on. This kind of furnace is predominantly useful for small and medium-sized gold-mining operations, but it is too small for a large-scale or industrial gold mining—it cannot be used for large quantities of gold. On a small scale, you can use a 1,200-W microwave oven to melt your good pieces, particles, or powder. 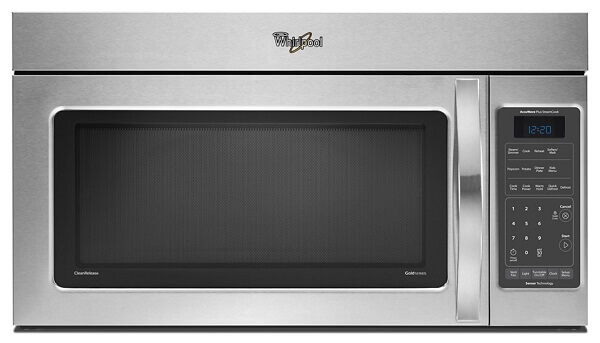 Choose a microwave oven that has no magnetron on top of it, but on its side or back. You will need a gold melting kiln or kit that would be placed in the microwave oven. Put the gold particles, powder, or pieces that you will like to melt in the kiln or kit. It is quite advisable to cover the kiln so that some particles do not sputter out and cause fumes to emanate from the microwave oven. If you can, fix a shelf in the microwave oven inside which you are going to place the kiln. Start heating the gold to the temperature up to 1,200 Watt. As the gold reaches it melting point, pour the molten gold into the already prepared mold to get your desired shape or cast. This microwave oven has already been contaminated with some gold particles and it would be risky to use it to cook food or other things that you will like to eat. It is very important that you should know the differences and similarities among the four types of furnaces described above. This knowledge will help you make a wise decision/choice when you want to purchase your gold-melting furnace. For simplicity purpose, the table below reveals the comparisons of the four types of furnaces. To most people, the terms “gold melting” and “gold smelting” appear to be the same but sometimes confusing. 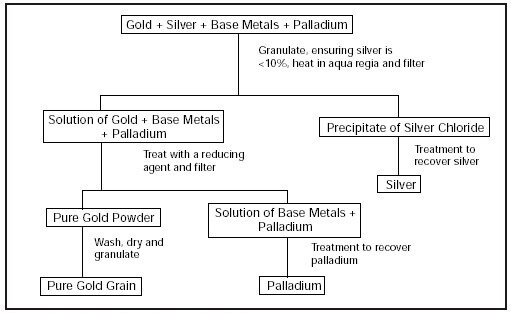 However, even though they are both essential metallurgical procedures required to recover gold in its purest form, they are different in operations. The table below reveals the sharp contrast between gold melting and gold smelting. Definition Melting is defined as the process of changing gold from solid to liquid form. These may be scrap gold such as fittings, jewelry, or coins. Smelting is a chemical reaction that reduces metal oxides (gold ore) to pure gold and an oxide waste (slug). This indicates that you can use this process to obtain pure gold. The term “gold-melting flux” refers to a chemical solution used in purifying gold. This solution may be added immediately after smelting or melting. It can also be added during gold-refining operation. The importance of a gold-melting flux is to make sure the impurities in a gold bar is completely dissolved. This makes it easy for the impurities to be removed without any difficulty. 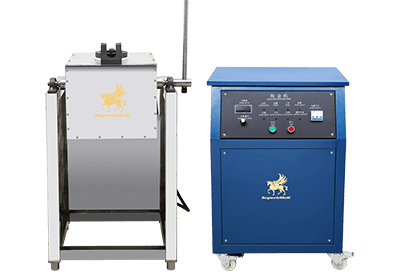 The best approach to choosing the right furnace for your gold-melting process is to first identify the comparative qualities of the different types of furnaces in the market. This section looks critically at the important factors every gold-melting expert must take into consideration while shopping for the most appropriate furnace. Efficiency: This characteristic feature is the most important criteria to pay attention when selecting the best gold-melting furnace. You will like to purchase an equipment that will save you time, energy, and do the job perfectly. The efficiency of gold-melting furnaces is measured by the quality of gold they produced. Not only that, an efficient furnace will not cause air pollution, destroy the environment, and is able to perform in low- and high-power density. 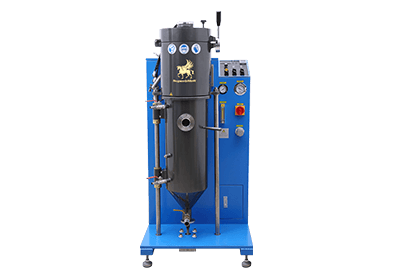 Full of protective systems: Buy a gold-melting furnace that has an array of protective systems that will save the furnace from being destroyed in a short time. These protective systems carry out the function of safeguarding the furnace against over current, over voltage, high water temperature, phase loss, insufficient water pressure, and low voltage. 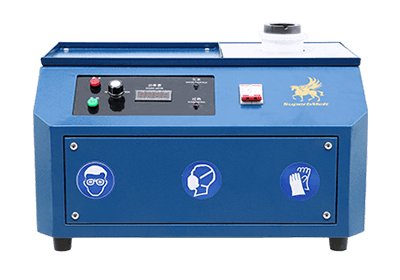 Easy installation and maintenance: The manufacturer you bought your gold-melting furnace from will not always be around to assist you; so, it is your responsibility to maintain the furnace. This may include disassembling the furnace, cleaning it, and re-installing it from time to time. If your furnace is the type that is very difficult to assemble, you will always need your manufacturer’s assistance, which means you will be paying for routine maintenance every time you service your furnace. 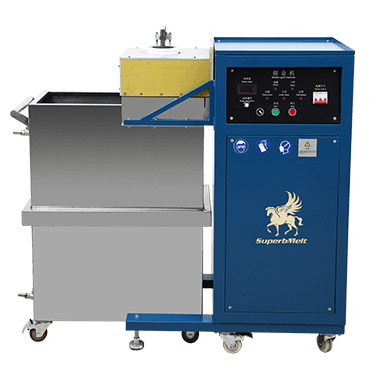 Affordable: Purchase a gold-melting furnace that fits the size of your current gold-refining operations. It is a common mistake among gold producers/traders to waste their hard-earned money on purchasing furnace whose capacity is bigger than their gold-production volume of scope. Safety: Finally, purchase a gold-melting furnace that is safe and won’t injure your workers and regularly send them to the hospital. You can ask your furnace manufacturer or supplier for a copy of the safety manual and make sure all your employees know how to protect themselves during gold-refining operations. Use a propane torch to melt it. The process has already been discussed above. Do not forget to keep flammable materials away from your work table. In case you want more powerful heat, you can use an oxyacetylene gas instead. 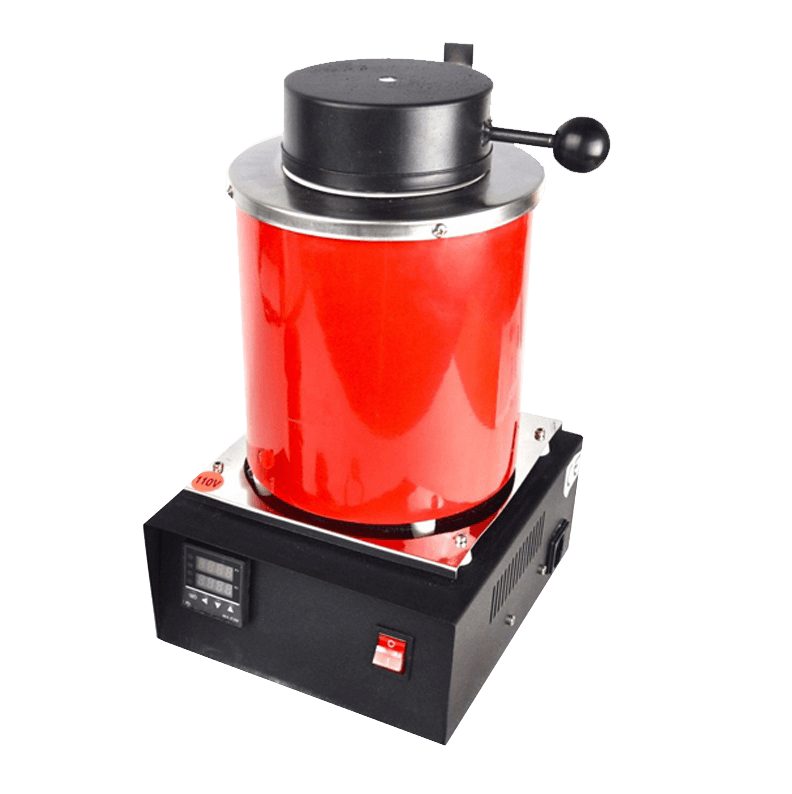 Use a mini gold melting furnace. This machine is portable enough to be used at home. It is designed to melt small amount of gold, from 1kg to 2kg. It has been used on several occasions for smelting gold at home. 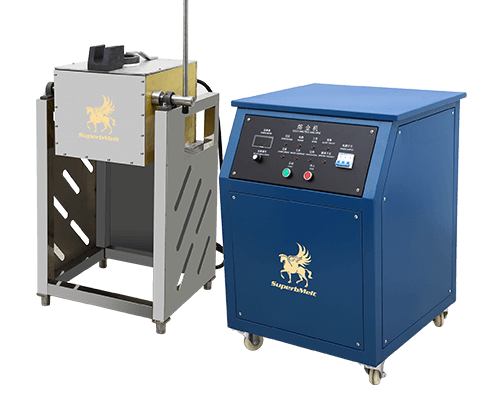 Mini gold melting furnace can show you how to separate gold from other metals in 2 minutes per batch. Use a 1,200W Microwave Oven. This procedure has already been described above. Make sure you purchase the right microwave oven, most especially the one that has no magnetron on its head, but on its sides or back. Use a gold-melting stove. 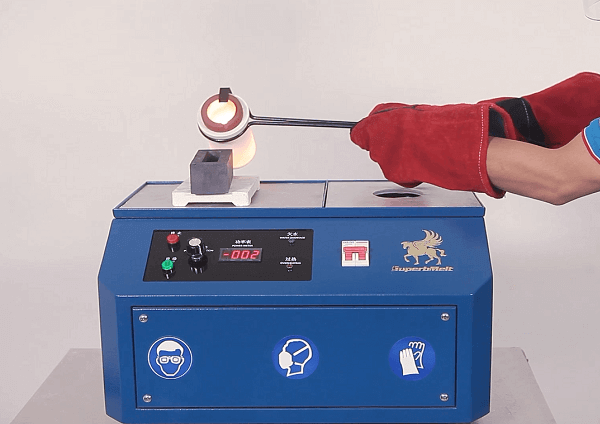 You may need to use a gold-melting stove at home to melt your gold particles or bar. The purpose of this is to obtain gold that is not containing any impurities. Gold naturally melt at 1,064 oC. So other impurities would not melt at this temperature. Hence, that gives you the opportunity to easily separate your gold from other metals that might have been mixed up with it. It must exhibit anti-oxidation property—this indicates that the stove must not be easily susceptible to oxidation to prevent an occasion of rusting and producing usable gold materials. It is a small furnace with a crucible/kiln in it and a stand. The furnace is covered so that the melted gold particles will not jump out of the crucible/kiln. It is usually heated using the electric power. 3-5kg old melting equipment. This is a combination of some gold-melting machines that can be used as parts of a gold smelting kit. 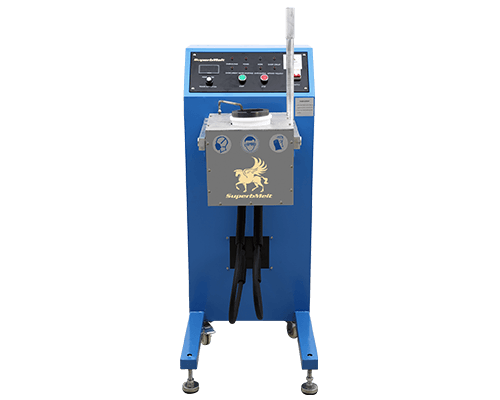 These gold melting equipment is good for melting 3kg to 5 kg of gold. At a temperature of 1800℃, it can melt gold in just 3 minutes. Platinum melting furnace. Unlike homemade gold smelter, the platinum melting furnace can reach a maximum temperature of 2800℃. And it can melt gold in less than 5 minutes. Another good attribute of this machine is that it can produce gold in liquid form. Most of the good gold-melting furnace at the precious metal foundry are the traditional types, with exposed setup (as shown in the picture below). However, this kind of furnace poses a great danger to workers as well as to the environment. This is because precious metals are easily oxidized during the melting process, and heat, noise, smokes, and other hazardous materials are released to the atmosphere. The good thing about this furnace is that it maintains a constant amount of heat to the precious metal being melted, but the employees/workers at the Foundry must wear heat-resistant coat to prevent their bodies from being burnt or scorched. Chain tilting gold melting furnace. This furnace is more powerful than many electric swelter or electric gold swelter. It can be used for melting 10kg to 50kg of gold. 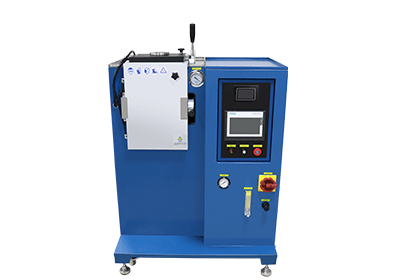 This small induction furnace has a digital Simen control system (PLC), which provides more accurate precision and reading of your gold-melting operations. Manual tilting gold smelting furnace. This gold smelting furnace is very good for melting 20kg to 30kg of gold. Its temperature can run as high as 1800℃, enabled by 25-35 kW of induction power supply. 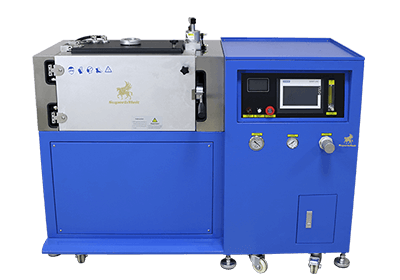 It takes this machine between 6 and 8 minutes to complete its gold-melting process. 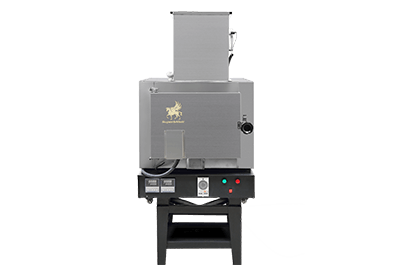 The best advice for anyone looking to purchase a gold-melting furnace is to select the one that is very easy to install. If not, you will have to pay a lot for re-installing every time the furnace is dismantled for cleaning and maintenance. Your gold-melting furnace supplier or manufacturer will not be always at your side to offer help in routine dismantling and assembling of your furnace. You or your employee must understand how to do this so that you can save on hiring external consultants to do it for you during routine maintenance of the furnace. 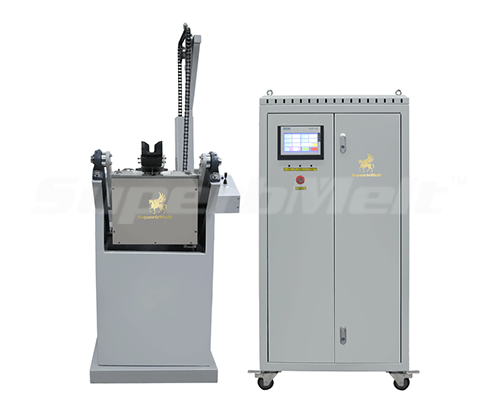 For all SuperbMelt products, the installation procedures are very simple: The machines will be debugged before shipment, tested well, and used to complete a gold-melting work. After these processes, the machine can be used directly on site. So, what happens after you have mined, processed, and refined or purified your gold? The simple answer is: To use it! And what is gold used for? This brings us to gold casting, which is the final step or process in gold-making. After refining your gold, all you want to do is to cast it in the appropriate form or shape that you desired. Today, there are different items platted or covered with gold, from necklace to bracelet. And some gold objects are shaped or cast as keyholders, Buddha, or even plates or cups. So, gold casting is the process of obtaining the right shape or form that you are proud of or happy to have. 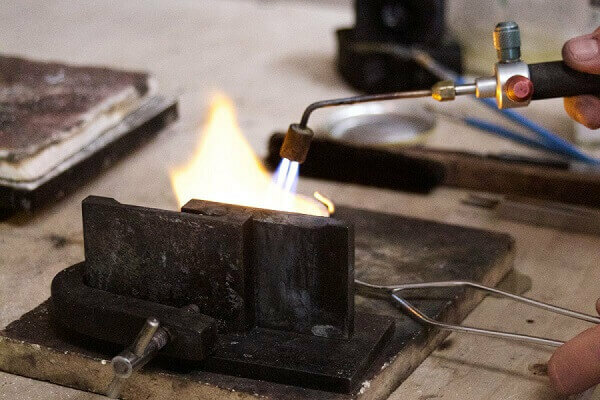 Gold casting is a delicate process because you want to have a perfect shape/form: So, you will need to have the most appropriate equipment to carry out this process. Gold purity is measured in Karatage: A 24 Karats (24K) gold has one hundred percent purity (100% pure gold), while an 8 Karats (8K) gold has only 33.75 percent purity (33.75% pure gold). The higher the Karatage number, the more valuable the gold is, and the higher its cost price. 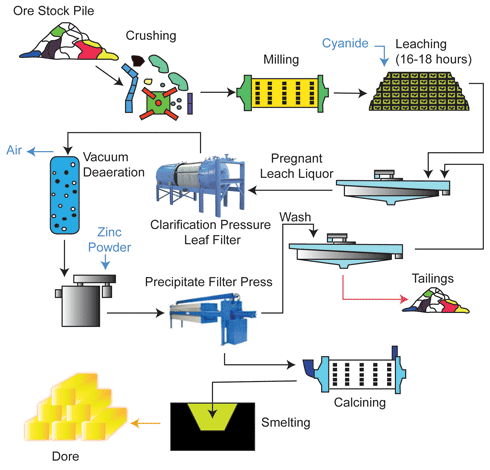 Highlighted below are the required processes for manufacturing Karat gold. In other words, you can improve the quality of your gold by undertaking the following procedures. As a guideline: The only way to improve the purity of your gold or increase its Karatage is to add some pieces of pure gold to it. Therefore, when added to 10dwts of fine (pure) gold, 25 dwts of 10K will produce 35 dwts of 14K. The mathematical calculations above are only useful for determining the exact amount/quantity of pure (fine) gold to be added to the original karat, the main Karat manufacturing involves the use of two important machines/equipment: Vacuum granulating machine and vacuum induction furnace. You can produce your gold in either grain or chip form by using a granulating machine. The machine will pulverize the gold into your desirable shape, whether it is a perfect sphere or a chip form. 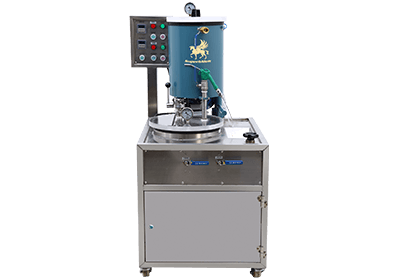 There are two main types of gold granulator: General and vacuum, depending on their features and methods of applications or operations. A general granulator is employed in producing master grains and alloy grains for all kinds of metals (gold inclusive), using the molten raw material obtained from induction-heated furnace. This is poured into a water tank which goes through a multi-hollow crucible that functions as a flow-breaker. This kind of granulator uses the solid-state technology which is regarded as the most efficient and recent technology in IGBTs modules that is available all over the world. A vacuum granulating machine is mainly used to obtain high quality and homogeneous master and alloy grains using the molten raw material obtained from the induction furnace. This operation takes place in a protective atmosphere and then the molten material is poured into the water tank via a multi-hollowed crucible acting as a flow-breaker. 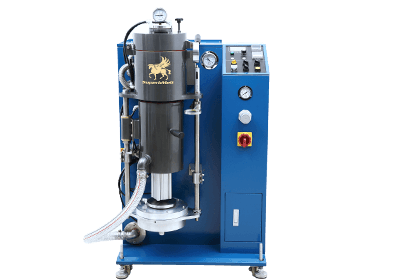 What separates the vacuum granulating machine from the general one is that it fully adopts vacuum and inert gas melting and granulating. 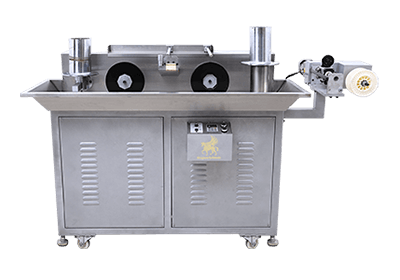 And the machine is fully automated: It can stir during melting, and the finished products will not experience oxidation or loss of material. Vacuum granulating machine produces equal number of particles that have good color and good spherical shapes. 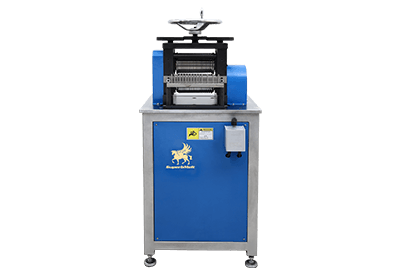 This machine is specifically designed for metals and alloys that are easily oxidized. 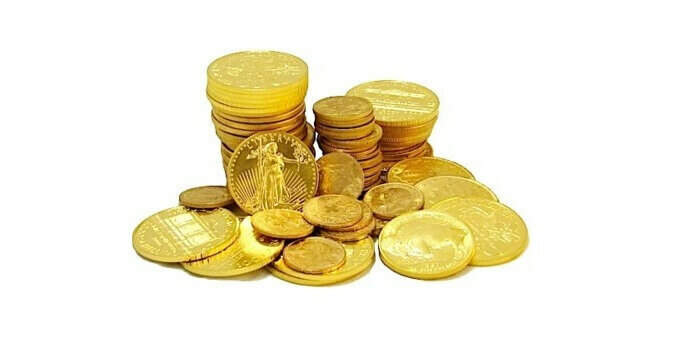 Here, you will learn about the processes for making a gold bar and gold coins. If you are wondering how gold bars and coins are made, this section will take you through the simple but delicate steps to produce both gold bars and coins. To make a gold bar, you will need a good vacuum bar casting machine. 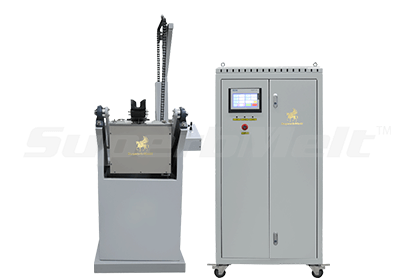 The picture below shows what a vacuum bar casting machine looks like, courtesy SuperbMelt. It should have a PLC touchscreen system that makes the operations so easy for even inexperienced gold-bar makers. It must have a vacuum casting apparatus that prevents bullion’s shrinkage, oxidation, and water wave. It must be a totally automated casting system that will lead to cost-saving on labor and other associated expenses. It must be so efficient that there is almost no loss of metal (gold) during the operation. It must have a short casting cycle of 20 minutes or less. This will reduce long-term use of the electric power. The Procedures required for making gold bars: How is gold made? First weigh the appropriate amount of gold grains/ granules you will like to mold into a bar shape. Pour the grains into a rectangular crucible-like compartments; such a crucible may have 4-6 bar spaces. Make sure you cover the crucible. Set the parameters for the kind of gold bar you desire. Since it is an automated system, you will have to wait until the entire process is completed. Press the “Cooler Switch” to lift up the cooling board. The casting will be finished or completed as timed. Retrieve the gold bars that have been cast during this procedure. Make sure you are wearing gloves to avoid being burnt. The good things about this procedure is that no oxidation of gold occurred, and there is practically no loss of material. This is a modern method of producing gold bars; the traditional method is a lot less efficient than this modern one. How are gold coins made? First, you will need to melt the gold grains or materials in a Furnace. Remember that gold’s melting point is 1,064℃. So, it will melt exactly at this temperature. You should make coils that may be up to 40 meters long or more that weigh up to one ton. Use additional pressure that is about 200 tons to roll the coils before cutting them into blank coins (gold coins without any image (s) on them). Numismatic artists are required to draw, design, and produce plaster models of the image (s) to be used on the gold coins. This process of creative design takes anywhere between a few months to a whole year. So, get ready for it in advance. Once the plaster model (of images) have been completed, use a digital scanning technology to make “a die” for each blank gold coin. Each die is cut using an engraving machine at an accuracy of 0.001 mm. The image on the “dies” are transferred to the blank gold coins by striking. Those are the steps you need to take to produce your desired gold coins. Today, gold coins are used for various purposes: As a celebratory gift, as a store of value, or as an exchange of value among people. And pay attention to quality and gold purity in all those steps! Have you ever wondered how your gold jewelries are made? This section of the book will take you through some simple processes for making gold jewelries, be it your gold necklace or gold bracelet. Apart from using the industrial jewelry-making method described above, you can also use hands to make your jewelry. It is called jewelry craft casting, and it will be discussed elaborately in the next section. There are no general rules for making jewelry crafts. Everyone is free to choose their designs, types of noble metals, method (s) of jewelry craft-making, and so on. For educational purposes, you will learn about four techniques for making gold jewelries at home in this section. Financial use: For several centuries, gold coins have been used as a currency of trades and financial transactions. Some countries still retain some gold coins, but most nations have stopped using gold as a currency since it becomes too expensive to be minted as money. Electronics use: Some semi-conductors have gold elements in them. Or gold can be used to cover an already completed electronic gadget or device. Computer use: Some electronic parts in computers have gold items in them, be it semi-conductors or ICs. Dental use: Gold teeth are made from gold. Medical use: Some medical equipment has gold parts, or they are entirely made from gold. Aerospace use: Gold is used in many aeronautic satellite parts. Glassmaking use: Gold has been utilized in glass making businesses for several centuries. Entertainment and decorations usage: Gold has been used as award plaque for entertainment or sport purposes. It is also a well-used shining metal for decorating things such as plates, chairs, cars, pens, and so on. There are four important lessons anyone will take away from reading this eBook, whether you are a gold merchant, goldsmith, gold manufacturer, or even a street jewelry-maker. There is plenty of information in this book that will help you improve on your business activity dealing in gold. So, these four lessons include: Material, Process, Equipment, and Expertise. The main material discussed in this book is gold, even though other noble metals are mentioned, such as silver, platinum, and so on. If you want to have a good gold product, you must pay attention to the quality of the material used. For instance, which Karat are you using? Is it an original gold or imitation? It is also important how you handle the gold materials. Some procedures may expose the gold to oxidation (even though gold doesn’t easily oxidize), shrinkage (any metal put under unnecessary pressure will shrink), and loss of material (if you apply wrong procedure, you may end up losing a chunk of your gold in the process). So, you can see that it is very important to pay attention to the material. Gold is an expensive noble metal and losing some parts of it may not only make your process expensive, but also cost you some customers, if you are a commercial jewelry-maker or goldsmith. On top of this, how did you obtain your gold? What source or country does it come from? The quality of gold may also depend on its source. However, this has not been absolutely proved by the experts or gold associations worldwide. And, what procedures are you using to polish your gold? The processes are the methods or techniques used in producing or manufacturing your gold. Until now, gold manufacturers have relied only on the traditional method of gold-making. But the invention of new, gold-making machines and technologies have made the whole processes easier and faster. And it will be useful for your business to learn these new techniques in order to improve your gold products or gold materials. Nowadays, there are emphases on gold-making processes that are environmentally friendly. You need to ask yourself these essential questions: Are my gold-making processes good for the environment? Are they producing little or no pollutants to the environment? Are they healthy and won’t affect the health of my workers or employees? Are the processes I use cost-effective? Are they sustainable? If you can provide positive answers to the questions, the chances are that you are applying modern methods of gold-making. And the best way to continue this is to use equipment that are absolutely environmental friendly. Is it environmentally friendly? You don’t want to invest your money on equipment that will cause plenty of pollution in the location where you operate. Pollution from the machines may affect air, water, land, and everywhere else. If you pollute the air or water in the city or town where your business is located, you may find it difficult to win the trust of the people and health authorities in that location. Is it automated? Most machines are automated today, meaning that they can be operated by simply pressing a button. The good thing about automated machines is that they help companies reduce the number of workers they needed. If your gold-making machine is automated, you may need just one or two workers to do the same job more than ten people would have done if it were a traditional method of gold-making. Does the machine provide material protection? Some of the protection required when manufacturing gold or gold products include anti-oxidation, anti-shrinkage, and temperature control. 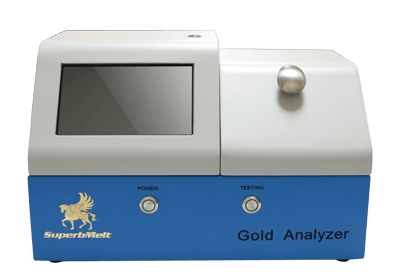 If your gold-making equipment or machine does not have any of the protection listed above, you may end up paying more to safeguard your gold from being oxidized, shrunk, or exposed to unnecessary temperatures. How compatible is your gold-making machine? This means, do it work in collaboration with other equipment or electrical appliances. Most gold-making machines are not standalones; they are connected to other equipment before they can complete their duties. So, make sure the equipment you are buying can work smoothly with other types of machines or devices. Maintenance. Is it cheap to maintain your gold-making machines? If you had bought your equipment new, you may have the hope of using them for a long time. But sometimes gold manufacturers who cannot afford new machines may choose to purchase a used one. In this case, are you aware that your second-hand machines can work for some time, a long time before breaking down? Spending money on continuous maintenance will make your gold business to be more expensive than the average cost of running a gold-manufacturing business. Workplace safety. Are you investing your money on buying gold-making machines that won’t harm your workers? Some foundries are more dangerous than hell because they are constantly exposed to heat from the furnaces. Sometimes, a thick plume of smokes is produced and may cause breathing problem for these workers. Another issue with the traditional method of gold-making is that the environment is not enclosed, and pollutions may reach the air or other parts of the ecosystem from there. If your workplace is not safe, and your machines cause bodily harm to your workers, you may be required to pay a lot on occupational insurance as well as taking care of your wounded workers. Is your equipment made by a well-known high-quality machine manufacturer? This refers to the issue of brand: Some companies have brands that have survived several tests and years of using. Their products are reliable, durable, and can work under different conditions. You can also judge a quality gold-equipment manufacturer by the number of good products they have. This shows that they have many customers all over the world and doing everything to improve their already standardized machines. When you buy machines or equipment from a famous and efficient brand, you will have a lot to save against regular maintenance, repairs, and so on, because they won’t break down every now and then. A good manufacturer will offer customized maintenance for some time; so, choose equipment-making company wisely. Does the manufacturer of the equipment offer manuals or guides that are easy to understand? When you are buying a new equipment, chances are that you won’t know how to use it perfectly. And when you are lucky to have a good instruction manual provided by the equipment manufacturer, that will help you overcome the initial fear of trying a new machine. You will be able to concentrate only on how to gainfully use the equipment to advance your gold-making business. Warranty. A good gold-machine company should be able to give you, at least, one-year warranty. This indicates that if your equipment suddenly develops any mechanical faults within a year, you can return for free repair. In some cases, you may be able to get an entirely new machine in replacement of the one you had purchased. Avoid equipment manufacturers that offer less than a year of warranty, because you can never be certain that a new machine you purchased won’t have a mechanic problem any time. You can inquire from your targeted manufacturers before committing to the purchase agreement. 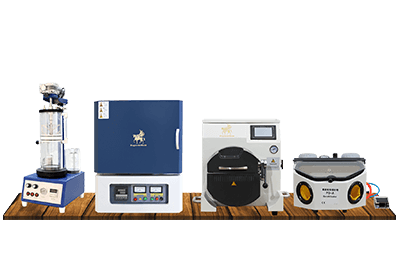 One great advantage of buying equipment from famous or well-known gold-making machine manufacturers is to have the opportunity of learning new things or concepts from them. They will be willing to easily pass some expertise that you need to operate the machine to you. On most occasion, this high level of gold-making education is offered to customers as complementary free services. You can also increase your expertise in gold-making by joining some regional gold associations and meetings. You will be able to learn from each other as members of the same organization. The truth is that gold-making techniques are improved upon from time to time, and the best way to be abreast of such timely information is to be part of a group or association that have access to the latest concepts in gold-making. It is through this approach that you will be able to maintain quality in your gold-making processes.